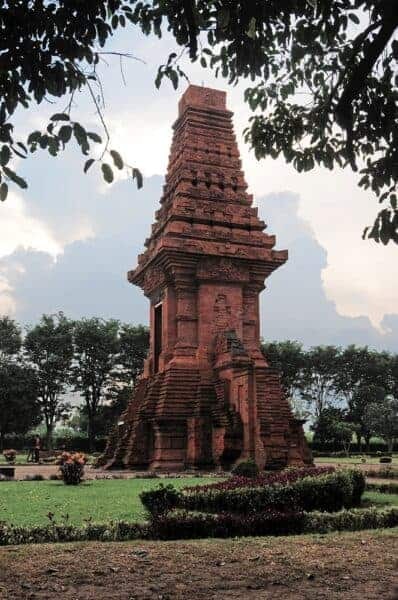 A site thought to be from the Majapahit Kingdom has been found in Sekarpuro subdistrict, Malang regency, East Java, during the development of section V of the Malang-Pandaan toll road project. The discovery has put the construction on hold, according to the president director of state-owned toll road operator PT Jasa Marga Pandaan-Malang, Agus Purnomo. 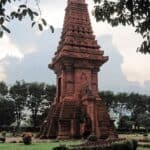 “We are waiting for the result of the study conducted by the Cultural Heritage Preservation Center [BPCB] and will coordinate with the BPCB in Trowulan [East Java] regarding the finding,” Agus said on Sunday. The finding was a brick structure resembling stairs and bricks scattered on the site of the toll road construction. Each of the bricks is about 45 x 60 centimeters wide with a thickness of 7 cm. Discoveries of a brick floor in Malang, Java may indicate the remains of the 6th century Kanjuruhan kingdom. Archaeologists are currently excavating to determine the archaeological potential. 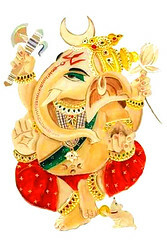 An unusual 12th-century Ganesha statue was recovered by the Mpu Purwa Historical Object Preservation Center in East Java from a private collector. The statue is said to be unique in Indonesia because it depicts the elephant-headed god riding a mouse. It seems that many local archaeological treasures are in the hands of locals and even local hotels for use as mascots! The ball is in the central government’s court over whether a Malang regency mosque should be moved in order to better preserve a set of 12th-century walls, believed to be the remants of the Singosari kingdom. Lest this post sounds like an ideological battle, it’s actually more… architectural. Renovations to a local mosque are preventing archaeologists from investigating the remains of the ancient kingdom of Singosari in Java, Indonesia. Archaeologists fear that the renovations might damage the foundations of two 12th-century walls located underneath the mosque.